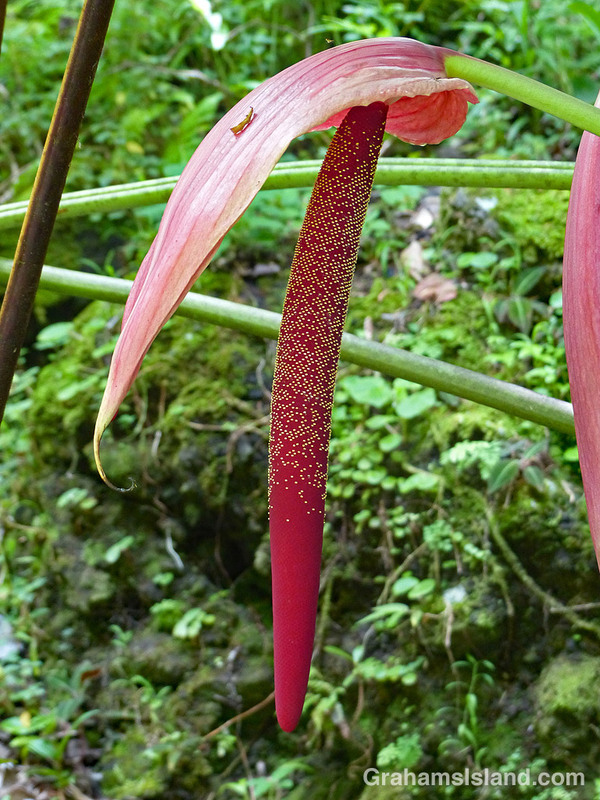 Anthurium cupulispathum is a large-leafed anthurium with a long, hanging spadex. The little dots on the spadex are seeds. 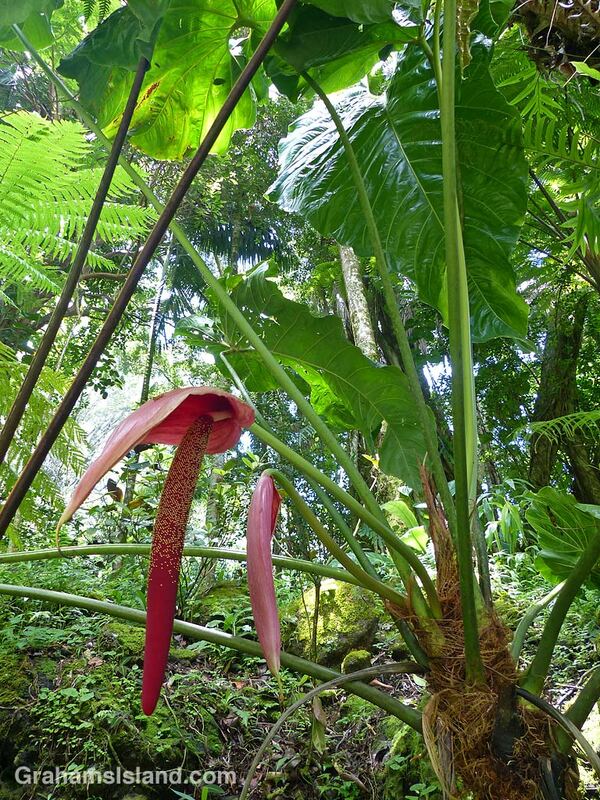 The plant originally hails from Equador.